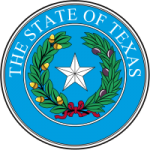 In Texas, the Office of the Attorney General administers the Child Support Division (CSD). The CSD provides several different services to parents who are divorced, separated or never married and are seeking to make sure their children have the financial support they need. In Texas, both parents are obligated to financially support their children even if they no longer with the children. Sometimes some parents fail to make required child support payments or disappear so the other parent cannot contact them. If this happens, CSD can help locate the parent and enforce a child support order through payroll deductions or other enforcement mechanisms.